Morningside Heights is a neighborhood of the Borough of Manhattan in New York City and is chiefly known as the home of institutions such as Columbia University, Teachers College, Barnard College, the Manhattan School of Music, Bank Street College of Education, “Grant’s Tomb”, the Cathedral of Saint John the Divine, the Riverside Church, the Broadway Presbyterian Church, Union Theological Seminary in the City of New York, Jewish Theological Seminary of America, Interchurch Center and St. Luke’s Hospital. Because of the number of educational institutions in the neighborhood, its nickname is the Academic Acropolis. 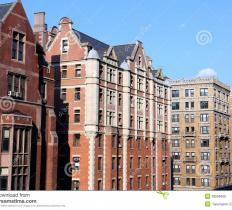 Morningside Heights is part of the Upper West Side. However, it has been described as part of “Greater Harlem”. Some claim the Upper West Side goes no farther north than 110th Street, but this is not the case.Morningside Heights is bounded by Morningside Park to the east, Harlem to the north, and Riverside Park to the west. The streets that form its boundaries are 110th Street on the south, Riverside Drive on the west, 125th Street on the north, and Morningside Drive to the east. The main thoroughfare is Broadway. In the 17th century, the land that is now Morningside Heights was known as Vandewater’s Heights, named for the landowner. Use of the name “Morningside Heights” for the neighborhood arose in the 1890s when development of the area commenced. Although the name “Bloomingdale” was used for the area about the Bloomingdale Insane Asylum (located at the present location of the main campus of Columbia University), other names such as “Morningside Hill” and “Riverside Heights” were used for the area and no single name was commonly used for the neighborhood as projects began to construct the university campus, and also the nearby Teachers College, the Cathedral of Saint John the Divine and St. Luke’s Hospital. In time two names gained the most use; “Morningside Heights” was preferred by the two colleges while “Cathedral Heights” was preferred by St. John’s and St. Luke’s. After about 1898, Morningside Heights became the most generally accepted, although the diocese at St. John’s continued to call the neighborhood Cathedral Heights well into the 20th century. The term “Morningside” came from the park on the east flank of the plateau, which was lit up by the rising sun and which was called “Morning Side Park” in 1870 when the city parks commissioner recommended a survey of the land. The student housing shortage in the area prompted Columbia to purchase much of the neighborhood’s real estate. The university has still expanded its presence in the neighborhood markedly over the last few decades, and gentrification and urban renewal have proceeded apace. In January 2008 the university received approval from the City Council to expand significantly in nearby Manhattanville. As the city grows and residents move in and out, neighborhood names change as well. Newcomers may consider Morningside Heights as an extension of the Upper West Side, though others hold onto the old name.